Free fish passage is a requirement for most fish species in order to meet their full potential in open river systems. Some structures on our rivers still pose a barrier to upstream migration to some or all species present, and it is important to identify these and seek cost-effective solutions. 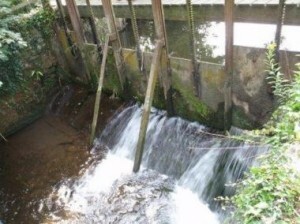 Casterbridge Fisheries has identified and highlighted a number of these structures as a result of the walkover surveys carried out in recent years, electric fishing surveys are then undertaken to identify the range of species affected. 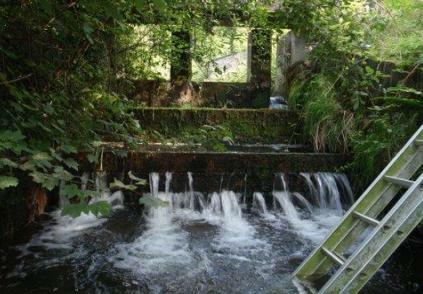 Our staff have experience in installing artificial substrate passes to improve eel and elver passage on existing structures and the construction of fish easement structures such as low stone weirs and woody debris features, which can create a natural looking pool feature resulting in a greater diversity of flow and water depth, thus significantly improving fish passage without the need for expensive hard engineering solutions. Casterbridge Fisheries can undertake all aspects of this work from initial consultation with riparian owners and the regulatory authorities, construction and installation and, where appropriate, monitoring and assessment.